In a thriller for the first spot in the finals of the 2018 MIAA A Conference Baseball Tournament, top-ranked Archbishop Curley outlasted sixth-seeded Gilman, 4-3, in the rain and on the turf of Yankee Stadium Field at the Ripken complex in Aberdeen, Wednesday night. Heavy rains which hit the area Tuesday evening and persisted throughout the day on Wednesday cost Curley the advantage of playing on its home field, as both the Curley/Gilman game and the elimination bracket game between Loyola and John Carroll, won 8-2 by the fourth-seeded Dons, were moved to Yankee Stadium. With Curley leading 4-2 entering the top of the seventh inning, starting pitcher Corey Burton appeared poised to go the distance as he struck out the first two Greyhounds he faced in the final inning. However, a walk to Max Costes, followed by back-to-back singles by Casey Bishop and Alex Slodzinski brought Costes home with Gilman’s third run and knocked Burton out of the game. Curley manager Brooks Norris turned to senior Nick Richardson, who became the team’s closer several weeks ago when Burton, who had been performing that role, was elevated into a starter’s role. Richardson’s crucial outing began with a wild pitch that allowed both runners to move into scoring position and eventually led to a walk for Joe Melancon, loading the bases for Michael Willis, one of Gilman’s most dangerous hitters. Richardson quickly got ahead in the count, 0-2, and then retired Willis on a ground ball to third to send the Friars back to the finals for the first time since 2010. 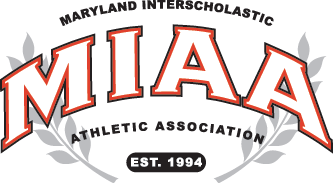 Sunday at Harford Community College, Curley will face the winner of Friday’s final elimination game, as Gilman will visit Loyola. Whomever emerges will have to defeat Curley twice, while the Friars need just one more victory to claim the title. Nick Brown staked Curley to the early lead when he ripped a two-out, two-run double in the bottom of the first inning off of Willis, who has started and pitched two innings in all three Gilman playoff games, plating Jalen March and Trent Gast-Woodard, who each had singled earlier in the inning. Gilman coach Larry Sheets stayed with same four-man pitching combination he has employed in the playoffs and often throughout the regular season. Matt Leikus followed Willis and pitched two scoreless innings, while Peter Huebeck and Costes each went one inning and allowed one run each. The quartet limited the slugging Friars to just five hits, and only two after the first inning, but Burton and Richardson never surrendered the lead, despite living on the edge. Gilman scored its first run in the top of the fifth inning when Gabe Gonzales drove Burton’s first offering over the left-field fence for a home run. Jackson McCambridge followed with a walk, but Gast-Woodard, perhaps the best throwing catcher in the area, provided a big assist to his battery mate by cutting down McCambridge’s attempt to steal second. Burton responded by retiring the final two hitters and keeping the Friars in front, 2-1. With Huebeck in to pitch for Gilman in the fifth, Curley got the run back, but a costly mistake took away a second run. trip around the bases and the umpires agreed. March’s run stood, but Nixon’s run came off the board and Curley led 3-1. In the top of the sixth, Gilman placed a Bishop single and a Melancon walk between a pair of fly ball outs, to have two on with two down for Tyler Martinez, who singled to center to drive home Gilman’s second run of the game. Again, Curley responded in the home half of the inning. With Costes on to pitch, Brown drew a one-out walk and his pinch runner, Andrew Rickard, advanced to second on a wild pitch and to third on a fielder’s choice grounder. Curley third-baseman Gavin Evans then plated what proved to be the winning run with an RBI single to center. Pictured above: Curley slugger Nick Brown jump-started the Friar offense, ripping a two-run, first inning double in Curley’s playoff win over Gilman.